The function of this role is to spearhead Ooredoo’ s IP Contact Center Solution implementation, configuration, integration, maintaining the requisite services of Ooredoo Contact Center Services and maintenance of IP Telephony of Ooredoo Contact Center. Analyse, Design, Manage the operation & maintenance activities for IP Contact Center Solution (IPCC) of Ooredoo and IP Telephony Services of B2B customers to ensure uninterrupted services of IVR and Contact Center with excellent quality. You should have at least 4 years of experience in Design, Coding, call routing, ICM script Implementation, Maintenance and Support for any software developments in Contact Center Technologies of Cisco IPCC. 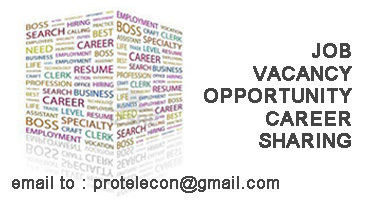 You should have proven knowledge and experience in ICM Scripting, CISCO Call Manager, and Voice Gateway Configuration. Minimum requirement is a Bachelors degree in Computer Science or Telecommunications or Equivalent degree with relevant No of years and experience.